Q.B.L. is a masterpiece of Qabalah and controversy. Its importance to the world of modern occult literature can be measured not only by its value as a remarkable, understandable textbook of the fundamental principles of Qabalah, but also by the way it offers us a rare glimpse into the heart and mind of a brilliant and sincere seeker of wisdom and truth. Q.B.L. is a unique work in both Qabalah and Thelemic circles. 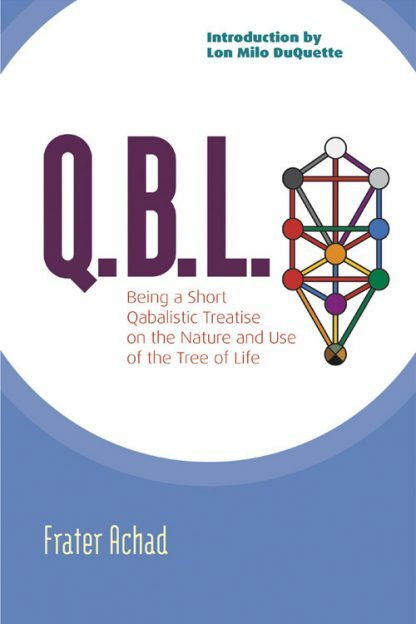 In the world of the Qabalah, Frater Achad revealed revolutionary new principles that caused students of the Qabalah to reexamine and thus deepen their knowledge of the Tree of Life. In Thelemic circles, Aleister Crowley named Frater Achad his magical heir and Achad was fully expected to lead the cause of Thelemic Magick after Crowley's death--until publication of this book caused a rift between the two and Crowley began to distance himself from Achad. This is a rare and valuable book, both for its insight and circumstances. True understanding of the Qabalah and its benefit in magical practice is clearly described, and the information contained is both practical and revelatory. The circumstances surrounding it--Frater Achad's falling out with Crowley and eventual descent into apparent insanity--prove a valuable lesson and warning for individual seekers and those associated with established mystery schools.